She spent the years of the Revolutionary War traveling with the troops, both to follow her husband and because she loved the cause of freedom from tyranny. Now your Mighty Girl can dress up as the original First Lady of the United States in this Martha Washington costume. 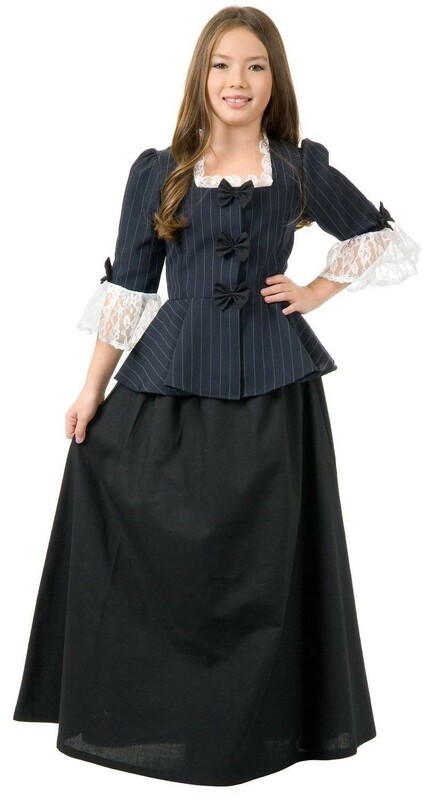 This full-length skirt and lace-trimmed peplum blouse is perfect for dress-up, costume parties, and school plays. Please note: wig not included.